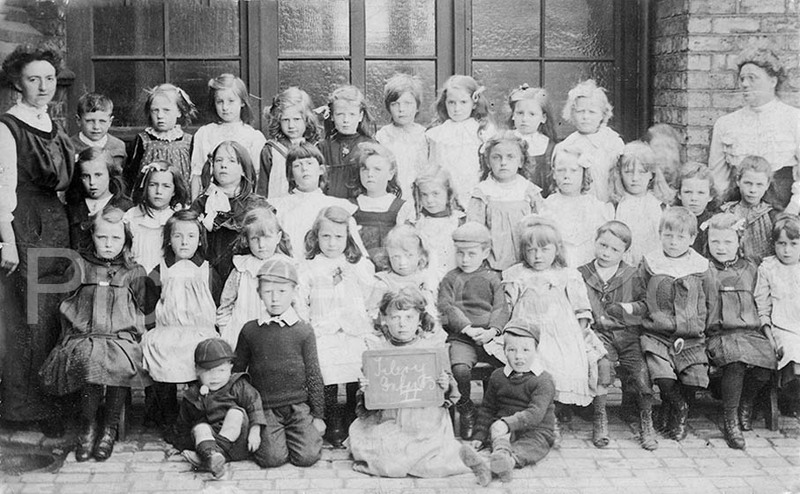 A class photograph showing the children of Grangefield School. I’m third from the left on the front row. Photograph and details courtesy of Gillian Brookes nee Hugall. A view of Hardwick Secondary Modern School taken sometime in the mid 1960’s. The school opened in 1963 as a mixed school but later became the girls school in 1967 and then the lower school in September 1973 when the name changed to Sheraton Comprehensive. Saint James court now stands on the site. I believe the children in the photograph are Ian Smith and Michael Overton who now of course will be in their 50’s. 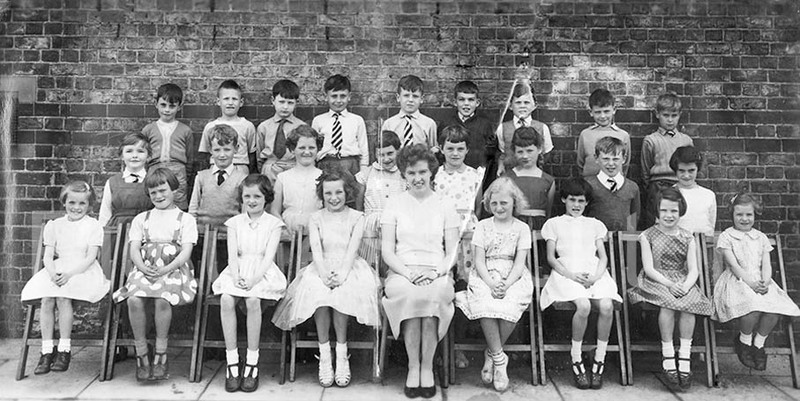 Class photograph taken at Northfield School, Billingham. My brother Andrew Evans is on the middle row, first on the right and James Hughes is on the back row, third from the right. Do you recognise any of the others? This is one of a number of images loaned to me by Pamela Botcherby, her father was headmaster at the Church school on Billingham Green from 1947 until about 1960. Back Row: Arthur McAleery, Peter Shiel, David Appleyard, Derick Coyle, Lorraine Angel, David Worrell. Middle Row: John Gibbons, Donald Lee, Michael Garside, John Harrison, David Allison, Ian McLaine, Eric Langford, Roy Sigsworth, Michael Lampton. 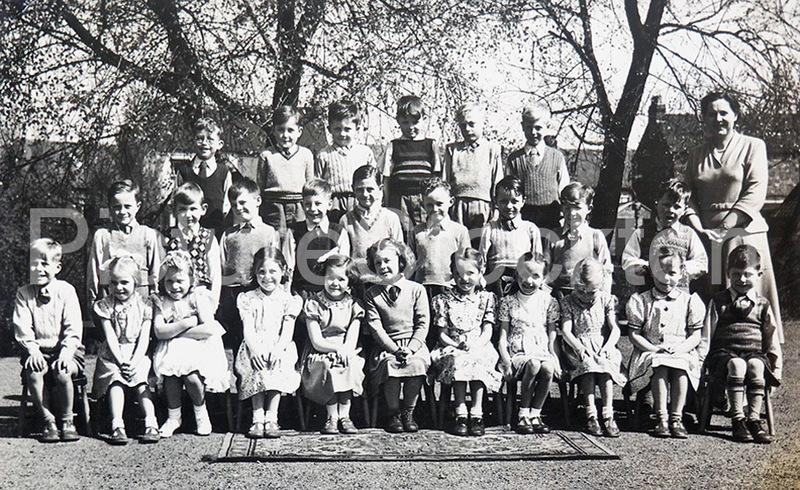 Front Row: David Robinson, Olive Buckley, Wendy Oughton, -?- Craggs, Ann Fishburn, Hilary Fletcher, Betty Stafford, Pamela Botcherby, Pauline Ayles, Margery Wood, Peter Moon. The teacher is Miss Win Gibson. 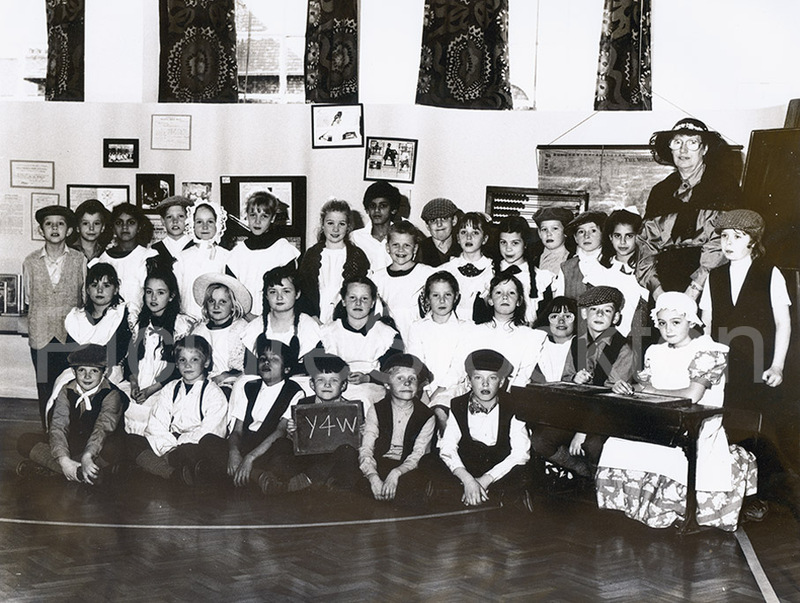 This school play was written by one or more of the pupils in the photograph. I seem to remember it was instigated by the girl playing the queen. It was taken about 1955. 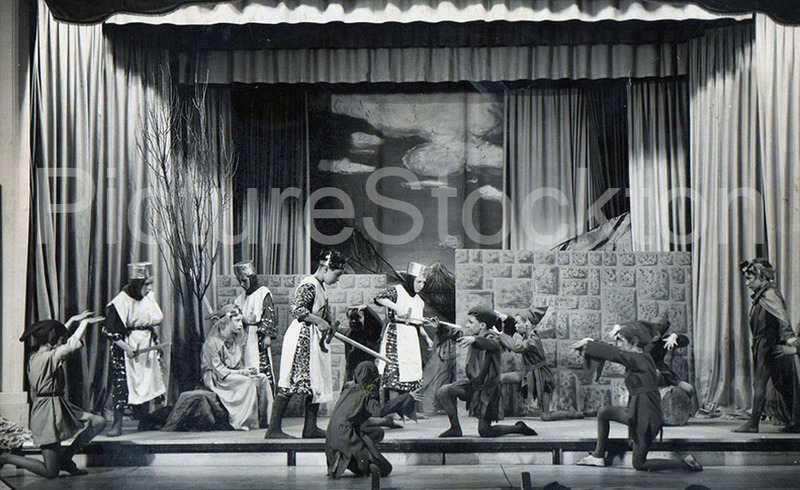 I played one of the elves kneeling (far right). Photograph and details courtesy of Mick Thompson. St. James school on the junction of Union Street East and Portrack Lane. 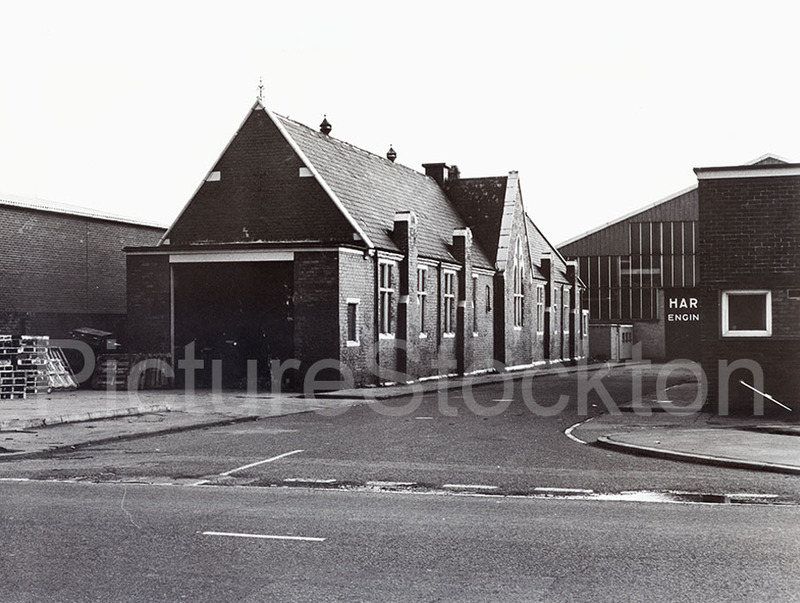 Opposite the school was the chapel, this stood next to the now demolished St. Anns Hospital, Portrack Lane. Taken March 1979. Photograph and details by Roz Prichard, courtesy of Carole Prichard. For 2 weeks in February 1995, Blyth Valley writer Barry Stone was writer-in-residence at Oxbridge Lane Primary School, Stockton. During that time pupils, parents and teachers were encouraged to write poems on the them of ‘Children’s Games’. A poetry booklet titled ‘Dress Rehearsals’ was produced. 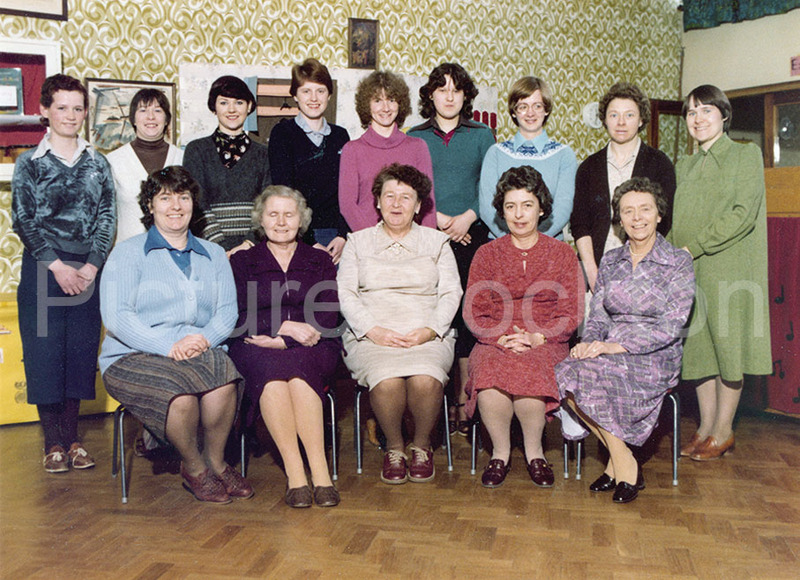 Photographs courtesy of Margaret Williams, teacher at Oxbridge Primary School from 1972 – 1998. Are you or anyone you know in this photograph? 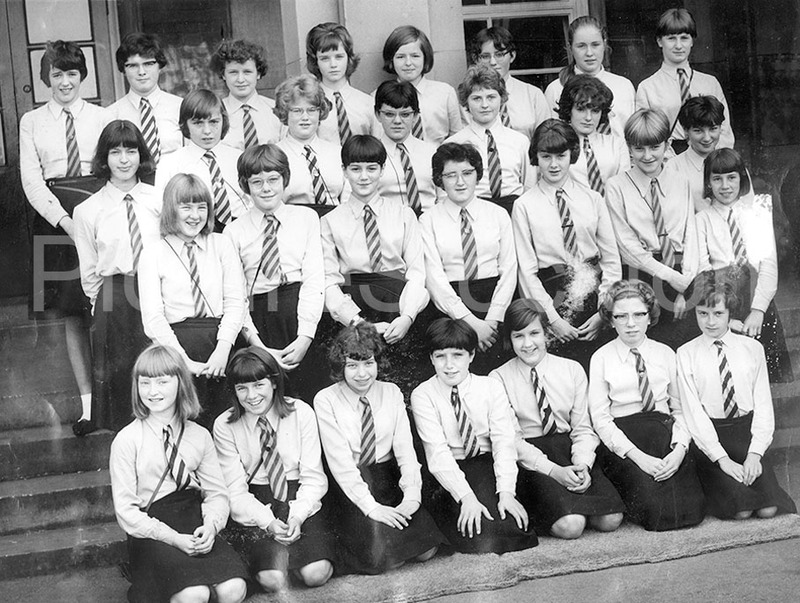 A photograph of Grangefield Grammar School for Girls, Stockton in 1965. Teachers (l-r): Mr Ellis, 2 secretaries, Miss Stainsby, Miss Wheelwright, Miss Newman, Mrs Perry, Mr Atkinson, Mrs Atkinson, Mr Jeffreys, Mr Buckle, Mr Nutall, Mr Wood, Mrs Estruck, Miss Dubbin, Miss Stevens, Miss Coster, Miss Styan, Mr Hodgson, Mr Brady, Mr O’Brian, Mr Price, Mrs Oxley, Mrs Thersby, Miss French, Mrs Lucus, Mr ?, Mr Brooks, Mr Grace, Mr Everett, Mr O’Neill, Mrs Moss, Mademoiselle, Miss Fleck, Miss Thomas (Mrs O’Neill), Miss Leicester, Fraulein. Photograph courtesy of Gillian Brookes. Miss Wilsons class at Norton Board School in the Summer 1960. I am 1st from the right on the front row. My dad was born in 1925 so I believe this picture was taken c1936/37 when he was about 11 years old. Back Row (l-r): Joe Murphy and Harold Harison. 3rd row (l-r): Arthur Brookes, Wilf Chadfield, Billy Bradley, Les Fox, Les Gommersall. 2nd row (l-r): Dennis Noble, Bob Beaumont (captain), Kenny Harrison. Front row (l-r): Les Holborn and Dapper Hobday. Photograph and details courtesy of Peter Brookes. 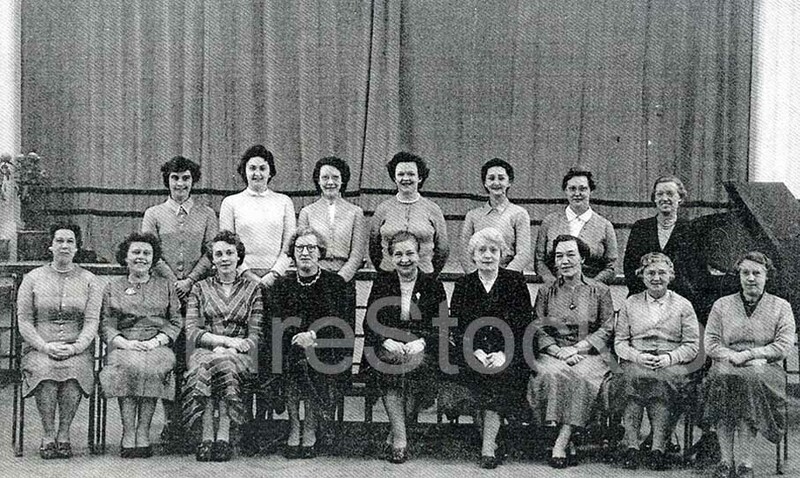 Staff at William Newton School, Norton c1952. 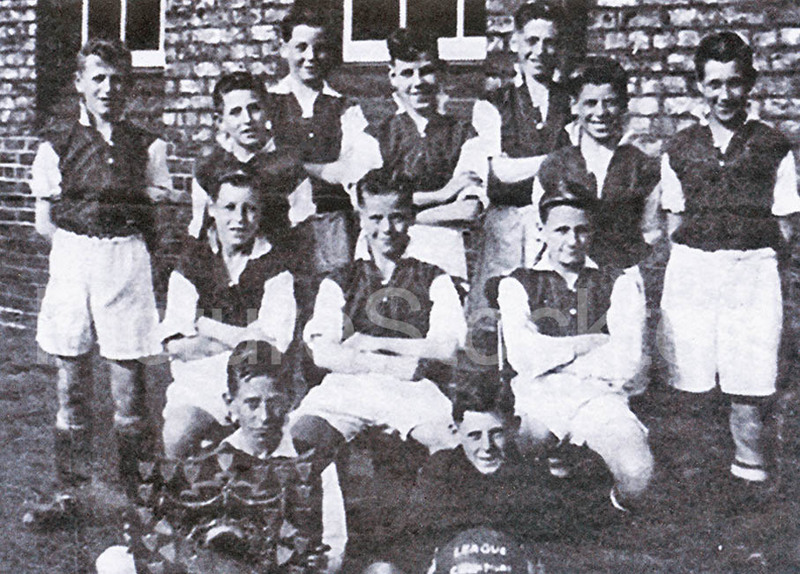 Back row (l-r): M West, J Banks, S Lennon, A Moriarty, E Atkinson, F Pugh, E Lee. Front row (l-r): J Farnaby, M Wardle, D Morgan, L Thompson, D Potts, M Spencer, O Dixon, D Gaunt, M Lightfoot. Photograph courtesy of Pauline Hislop. 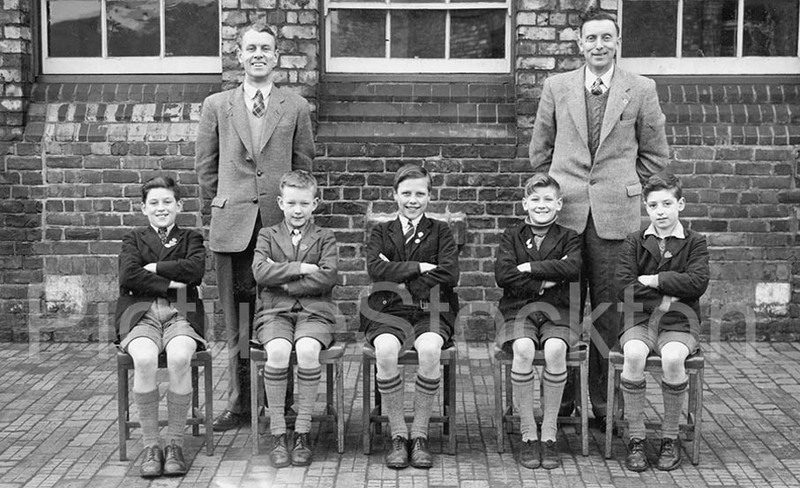 The Junior Captains from Oxbridge Lane School with Headmaster Frank Showell, c1955. Is the other teacher Mr Findlay? Children from year 4 dressed in Victorian costumes to celebrate the 100th Anniversary of Oxbridge School. Pictured is Margaret Williams who taught at the school from 1972 – 1998. 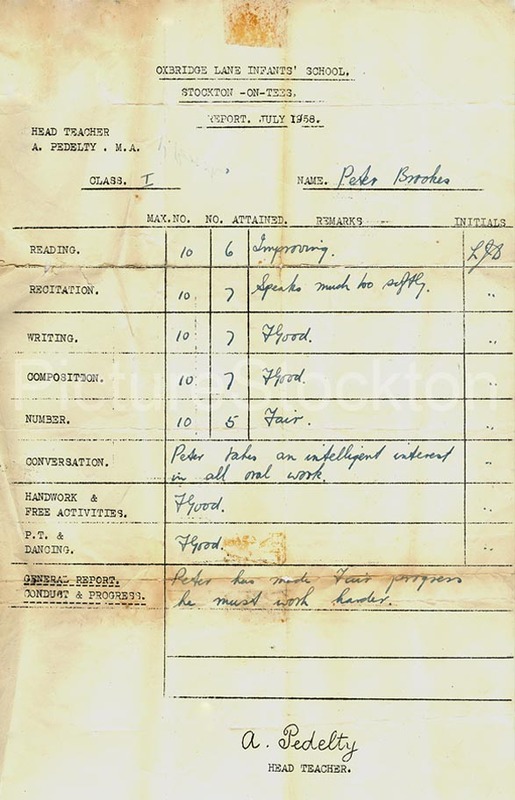 Oxbridge Lane Infants School report for Peter Brookes, Class I in July 1958. Images courtesy of Peter Brookes. 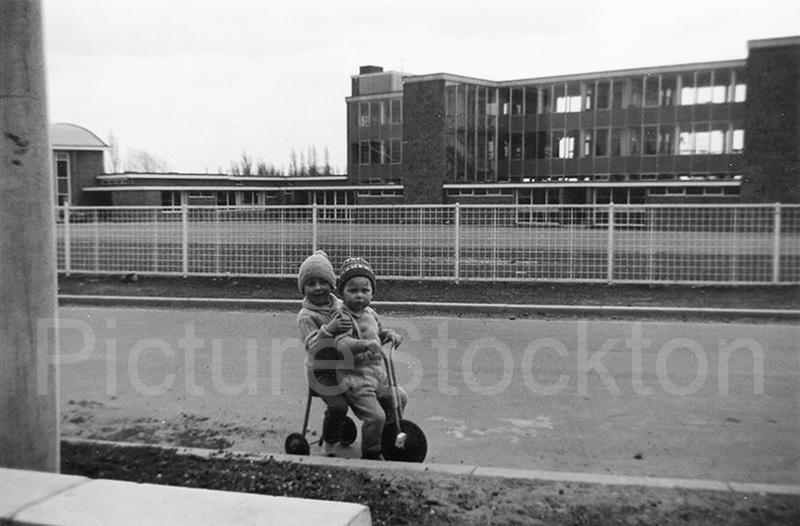 We were still Hardwick Infant School when this photograph was taken. From 1984 onward the amalgamation happened and we were Hardwick Primary School. I was Mrs Kell till 1989 when I married Roz and became Mrs Prichard. Back row; ? ?, Mrs Smith, ? ?, Miss Henderson, Mrs Cowell, ? ?, Mrs Kell, Mrs Jewett, Mrs Reed. Front row: Mrs Mantle, Miss Sharp, Mrs Carson (Head), Miss Greenwell, Mrs Hart. Photograph and details courtesy of Carole Prichard.